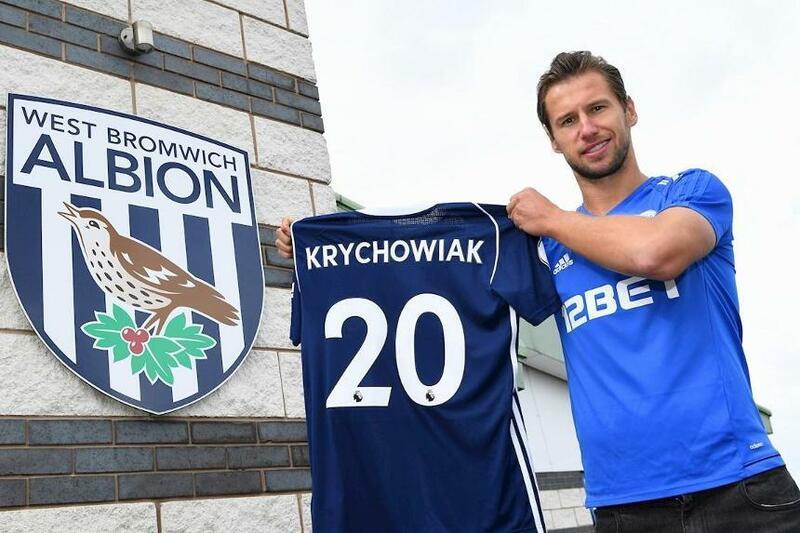 West Bromwich Albion have announced the signing on loan of Grzegorz Krychowiak from Paris Saint-Germain. The 27-year-old Poland midfielder has agreed to move to The Hawthorns until the end of the season in a deal that is subject to international clearance. Krychowiak represents West Brom’s second signing of the day, after Kieran Gibbs’ acquisition from Arsenal, and the fifth senior transfer overall this summer. "I had a lot of offers from Spain and Italy," Krychowiak told wba.co.uk. "But this is a very ambitious club. There's a good atmosphere here." West Brom are next in Premier League action at Brighton & Hove Albion on Saturday 9 September.